The father of ‘one of the most disabled people in Northern Ireland’ has hit back at the ‘ignorant questioning’ he was given during a controversial benefit assessment for his son. 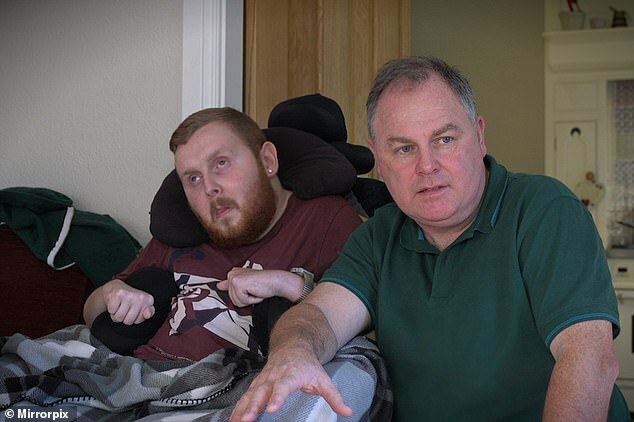 John McMullan, 50, whose son Declan, 26, suffers from a condition known as Locked-in syndrome that renders him ‘unable to unable to move, talk, see or eat’, was shocked by the scores his son was given on his recent PIP assessment. The father-of-one from County Down, Northern Ireland, was left outraged by the ignorant questions he was asked and the lack of understanding offered by the assessor. 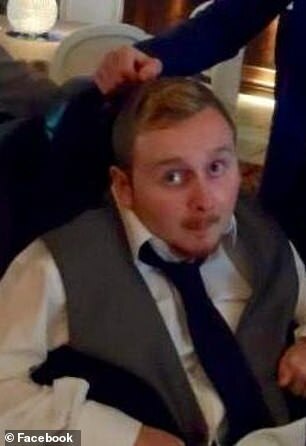 Declan’s condition was triggered at the age of 19 when his brain was starved of oxygen during an eight-minute cardiac arrest, leaving him in a borderline vegetative state. Despite being aware of his surroundings, Declan’s neurological condition means he is incapable of controlling movement and can only communicate by blinking. 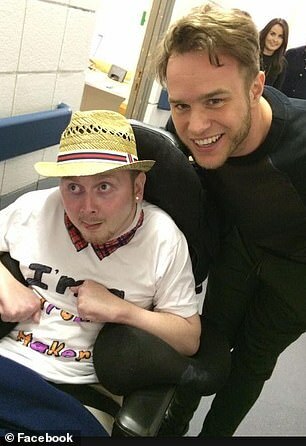 Due to his agonising condition the 26-year-old now needs 24-hour care. Mr McMullen told Belfast Live: ‘Declan can’t do anything other than blink. He is unable to move, talk, see or eat. As part of his son’s routine reassessment Mr McMullan was recently sent a letter alongside a form for his son’s disability allowance. However three weeks after filling the form, the father-of-one received a phone call from an assessor who not only wanted to see his son face-to-face but exhibited ‘total ignorance’ towards his condition. While son Declan was able to receive full payment he did not achieve full points for his daily living needs, receiving only six points out of ten for the level of assistance required while eating and drinking during the assessment. He also received only two out of eight points for needing assistance making budgeting decisions and just four out of eight for needing support in social situations. 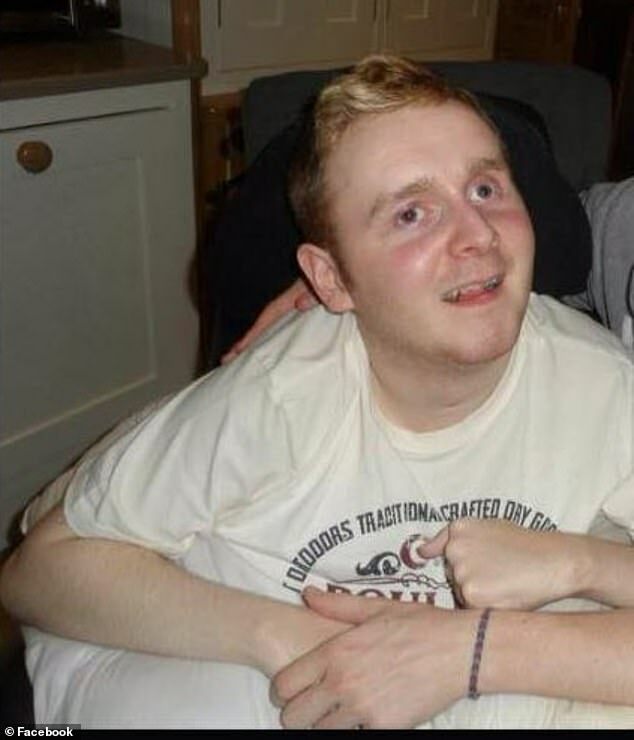 Describing his ongoing battles Mr McMullan questioned the amount of times disabled people are required to be assessed and the level of professional evidence that is needed by PIP assessors. A Department for Communities spokesperson told Belfast Live: ‘The Department expects the highest standards from Capita, who deliver the PIP Assessment Service and they have to conform to a rigorous set of quality standards set down by the Department. ‘Each disability assessor must have a minimum of two years post registration experience which must be fulfilled within an approved health profession and receive extensive training in line with DfC guidelines before they undertake PIP assessments. ‘Capita is committed to delivering a high quality and empathetic service for people applying for PIP. ‘Its disability assessors are healthcare professionals with the required skills and knowledge to carry out PIP assessments across Northern Ireland. ‘The PIP assessment looks at how individuals are able to complete a number of key everyday activities. Within each activity there are a number of descriptors, each representing a varying level of ability to carry out the activity. ‘Individuals receive a point score for each activity, depending on how well they can carry them out and the help they need to do so which is based on the evidence provided and collected. The guidance which disability assessors and PIP case managers are expected to apply is set out in the PIP Assessment Guide. ‘A robust complaint process is in place for customers who are unhappy with the service provided by Capita which includes the opportunity to escalate a complaint to the Department if they feel it has not been satisfactorily resolved. ‘The terms and conditions of the contracts of employment for Disability Assessors are a matter for Capita and are not set by the Department. ‘However, the Department understands that an annual quality incentive of £3,000 is wholly based on the Disability Assessor producing consistent high-quality reports on a timely basis and is not related in any way to decisions on entitlement to PIP. ‘Decisions on individuals’ entitlement to PIP are made by the Department.